General Electric Co. shares tumbled toward their worst month since the depths of last decade’s recession after Goldman Sachs Group Inc. warned of a potential “tail risk” at the troubled manufacturer’s finance arm. GE investors are grappling with two key questions -- how big of an equity infusion GE Capital needs, and whether the Power unit business is close to a bottom. Goldman sees a chance that the equity infusion from GE to GE Capital might be larger than the US$3 billion previously stated for 2019. Goldman does not “see GE as inexpensive given its leverage profile...and tail risk associated with GE Capital,” the analyst said Friday, slashing the price target on the stock to US$9 from US$12. The stock sank as much as 5.4 per cent at 12:55 p.m. in New York, on pace to close at its lowest since March 2009. While GE shares have plunged by more than half this year, the pace of decline has been especially sharp over the past month, with the stock down 22 per cent since the beginning of the month. At that rate, November would be the worst month for the stock since February 2009, when it fell 30 per cent. The company disclosed an expanded federal accounting probe in late October, and analysts have warned about escalating liquidity concerns, as well as deteriorating results at GE’s troubled power division and financial business. 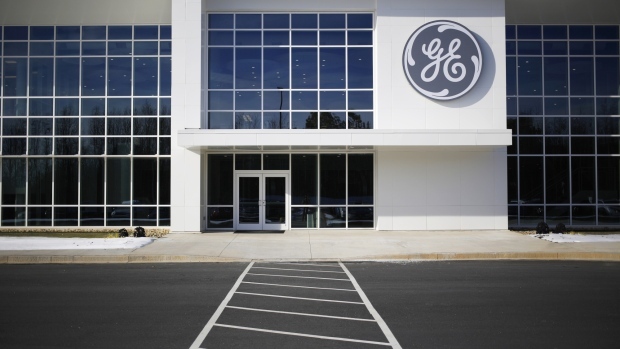 GE “has a long road to repair its balance sheet ahead of it, and based on the timing of certain events, GE could potentially have to put more than US$10 billion of equity into GE Capital,” Bank of America Merrill Lynch analyst Andrew Obin wrote in a note. But Obin, who rates GE a neutral, said the company still has a number of levers to meet the liabilities, including monetizing its assets. “... GE’s valuation partly reflects the ‘fear of unknown’, as the company’s balance sheet is thinly stretched to be able to absorb any incremental bad news and the Street has gone through multiple negative surprises over the past year,” Bank of America added.